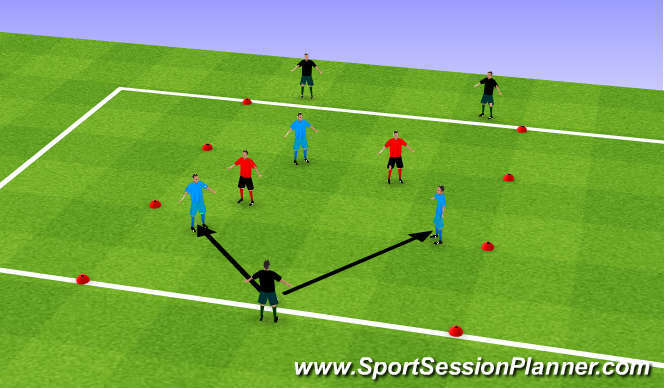 grid size. 15 x 15 with a 3 x 3 grid inside. 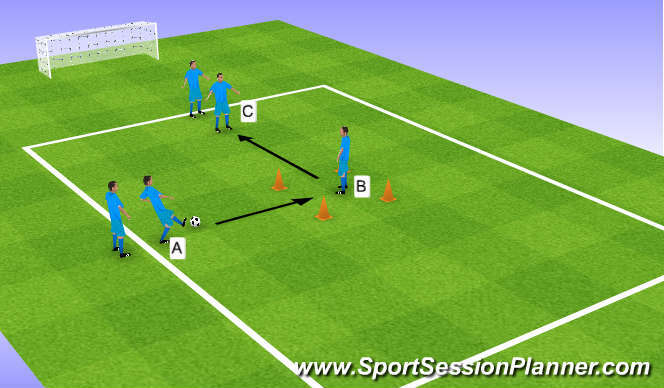 Player A passe to B, B must control it through the gate to his right enabling him to play into C.
A then follows his pass into the square and B follows his pass outside the square. 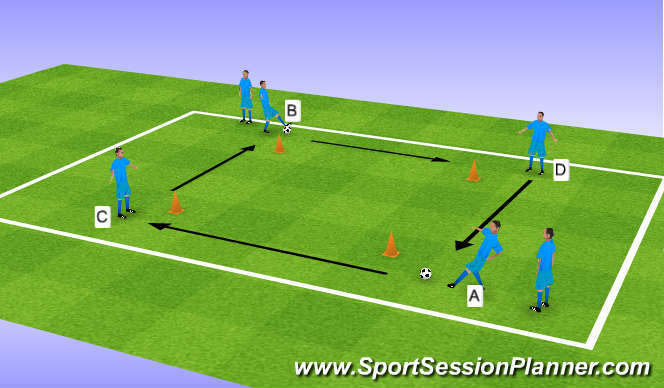 Players A and B start by passing ball to players C and D. All players follow the pass. Make sure you work both ways. 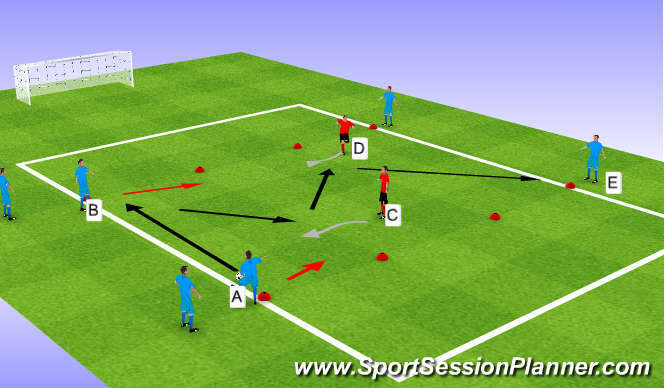 Type of Receive -Back foot, direction, surface.